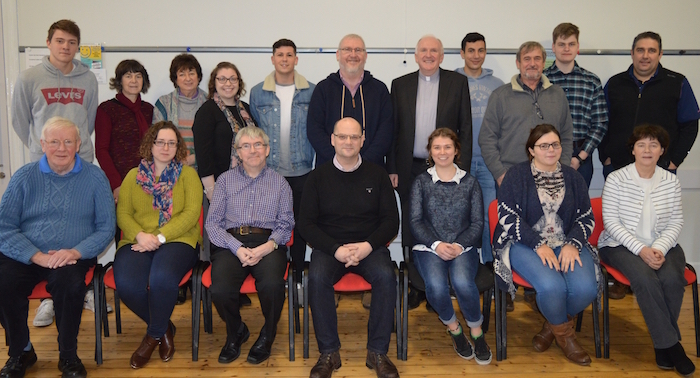 From Sunday January 7th 2018, until Wednesday Jan 10th, members of the different Redemptorist Youth Ministry Teams in Ireland were gathered for ‘Pause 2018′, a review of our ministries and for the purpose of strategic planning for the next four years or so. There were people from the Clonard Redemptorist Youth Team in Belfast, the Scala Redemptorist Youth in Cork, and the Esker Redemptorist Youth Team in Esker. Included in these were five German volunteers, young people who have volunteered to work in Ireland with us, for this academic year, until next July. One of the German volunteers travelled over from London for these days: Christian works with the Redemptorists in Clapham, London, particularly working with the centre for people who are homeless or down on their luck. It was a blessing having them working with us at this gathering. 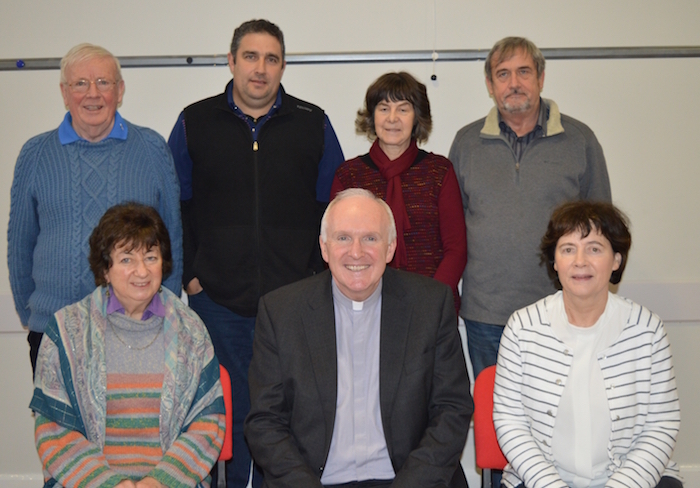 Two Photos from the event: seen here with Bishop Brendan Leahy (Limerick) who spent a morning with us reflecting on ministry among and with young people.